Between those two dates is the big Emerald City Comicon show in Seattle and the guys here had a chance to donate their skills to the Monsters & Dames 2010 Charity Art Book with some great pieces! 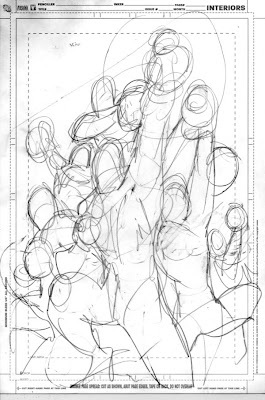 Check back every day this week for sneak peeks by our attending artists and see what kinds of creature combinations they contributed! 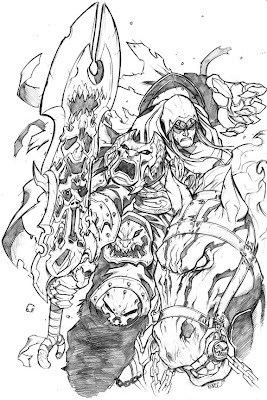 A commission that was requested of Joe Mad's Darksiders. I didn't know how this was going to turn out at the beginning. I had an idea of what I wanted to do with it and I was pretty happy with the turnout. i hope the buyer enjoys it as much as I did doing it. 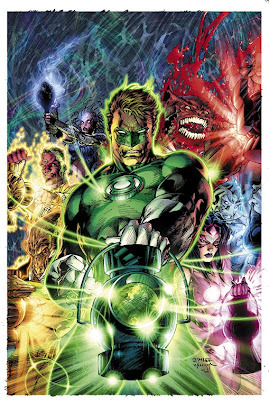 Green Lantern #50 Variant Cover! 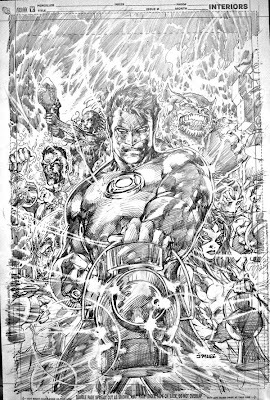 Colors and inks of the Green Lantern 50 variant cover by the amazing Alex Sinclair and the incomparable Scott Williams, respectively. 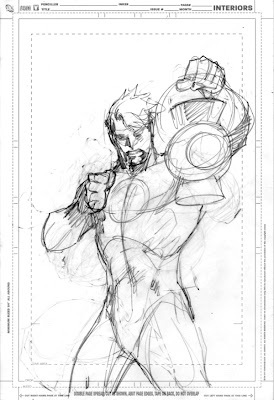 Pencils of Green Lantern 50 cover, shot with my Canon S90 in a snow covered cabin, emailed via usb wireless modem. So for this cover I did I drew 3 diff layouts and do work on all 3 simultaneously-switching from 1 to another-unsure which I like best. Here's the 2 I didn't go with. Was pretty sure I was going with A for most of the nite then tried a Frazetta inspired shot then ultimately w/ C.
GL 50 cover A. 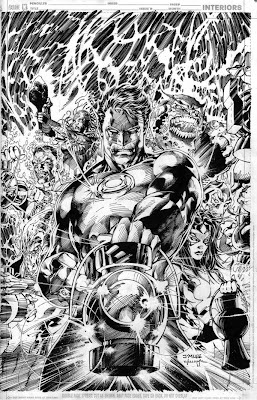 The rest of the Lanterns were gonna be behind Hal. All the Lanterns powering up. To celebrate the New Year, here's a pre-done piece I did for a con last year.